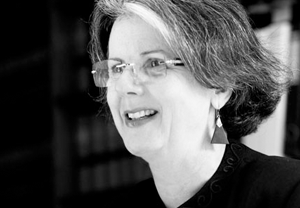 Susan Phillips (BA, LLB (Hons I), LLM, MALP) is a barrister at the Sydney Bar specialising in native title. She has published and worked in that field since the Mabo decision was handed down in 1992. Since the Native Title Act was passed in 1993 Susan has been counsel to parties to Native Title proceedings and to Indigenous groups and communities all over Australia from the Kimberley and Cape York to the south eastern and western parts of Australia representing them in the National Native Title Tribunal, Federal Court and in mediations and negotiations with local, State and Commonwealth governments, mining companies, pastoralists and other parties. Susan also provides reports to the Federal Minister for the Environment and Energy under the Aboriginal and Torres Strait Islander Heritage Protection Act 1984 (Cth). Susan lectures and has taught courses about Indigenous people and the law at the Universities of Sydney, NSW and UTS and is responsible for 2 chapters in Lexis Nexis Native Title Service and other publications. She recently gave a paper at the AIATSIS NTRB Masterclass on the revision of native title determinations and will be presenting at a section of the Annual AIATSIS native title conference in Broome, June 2018.